*This Iceland Photo Tour is in partnership with “Iceland Photo Tours“. Make sure you do not miss this excellent opportunity to explore the Highlands on this unique camping photo workshop, which will take you off the beaten path and into the very heart of Iceland itself. 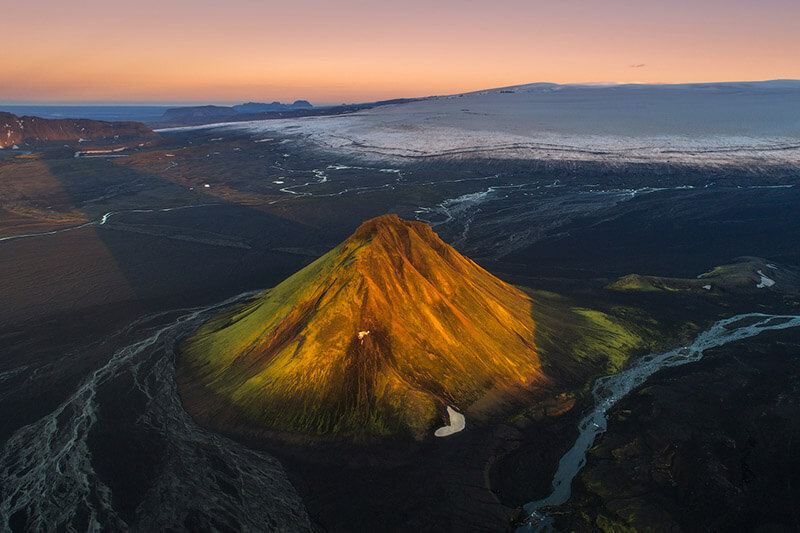 During this Iceland photo tour we will follow the midnight sun and hunt for the best photographic opportunities that this country has to offer. 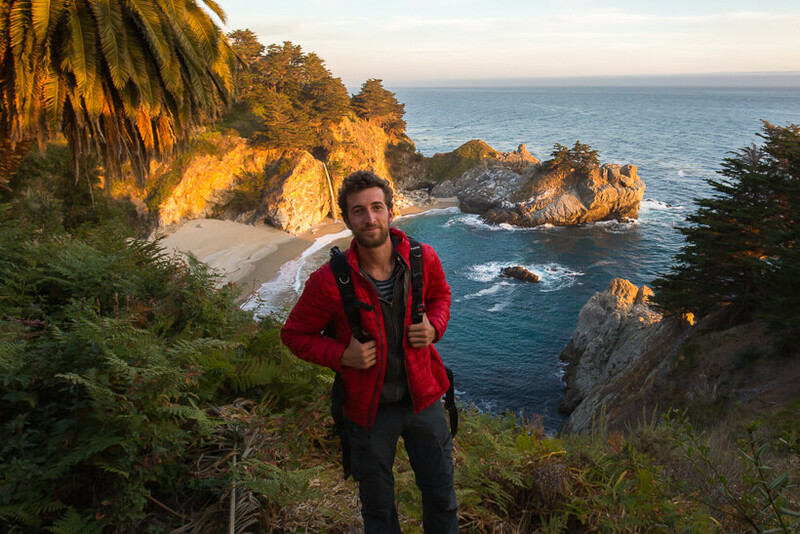 We will work day by day with the available conditions to ensure that you will be in the right place at the right time to capture stunning photos to bring back home. Due to the ever-changing light and weather conditions, this Iceland photo tour does not have a set itinerary. We will instead head to wherever the best conditions for photography are. One almost guaranteed place we will visit is Þórsmörk Nature Reserve. Here the mountains and glaciers that enclose the area provide it with a relatively stable climate. 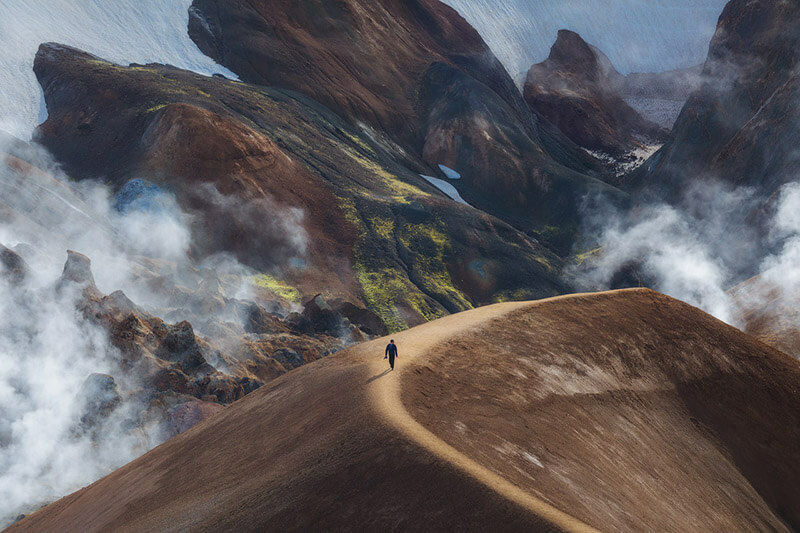 Þórsmörk is well-renowned for its incredible landscapes, being also at one end of the most popular trekking route in the country, the Laugavegur Trail. 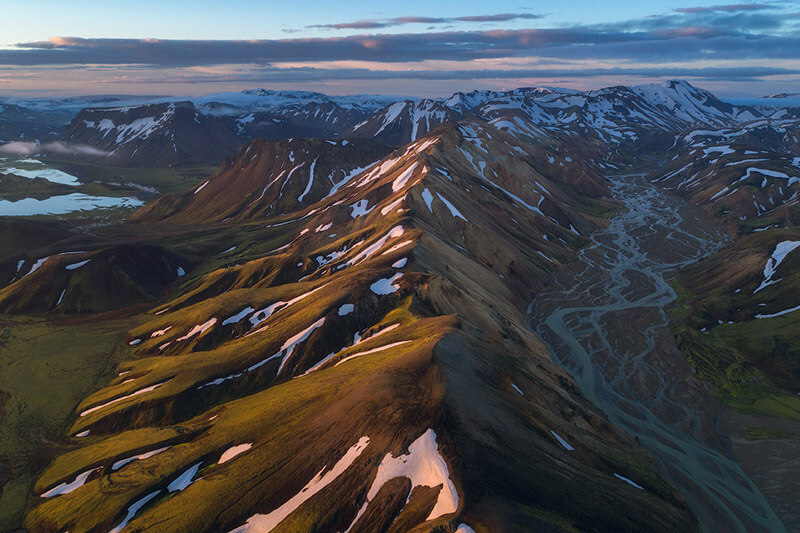 On the other end of this trail is Landmannalaugar, another region that offers plenty of shooting opportunities. This highland site is incredible thanks to its bubbling geothermal pools, steaming rivers, and brightly colored rhyolite mountains. The regions of Hveravellir and Kerlingarfjöll are also on the agenda. 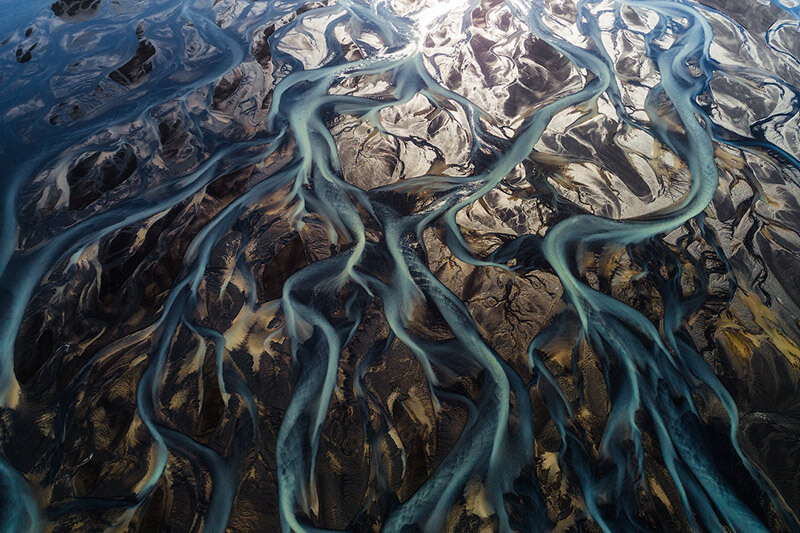 Both provide spectacular opportunities for photography you can only find in Iceland. 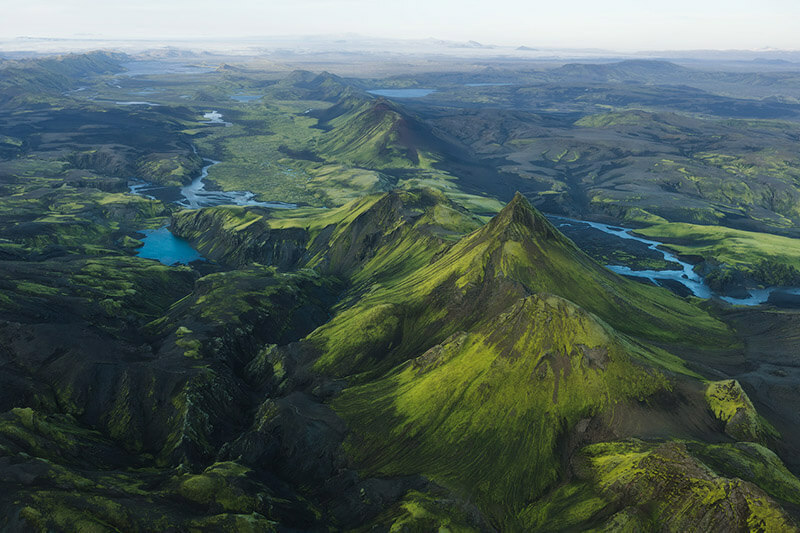 While Hveravellir and Kerlingarfjöll are deep within Iceland’s interior, we will also explore verdant areas on its cusp. Þakgil is one of them, a beautiful and dramatic valley of shimmering green vistas and trickling waterfalls. This is one of the country’s favourite camping destinations. If conditions allow, we will also visit South Fjallabak, where all of the above features can be found together, along with forests, valleys, waterfalls, hot-spring areas, volcanoes, glaciers, meadows and iceberg-filled lagoons. 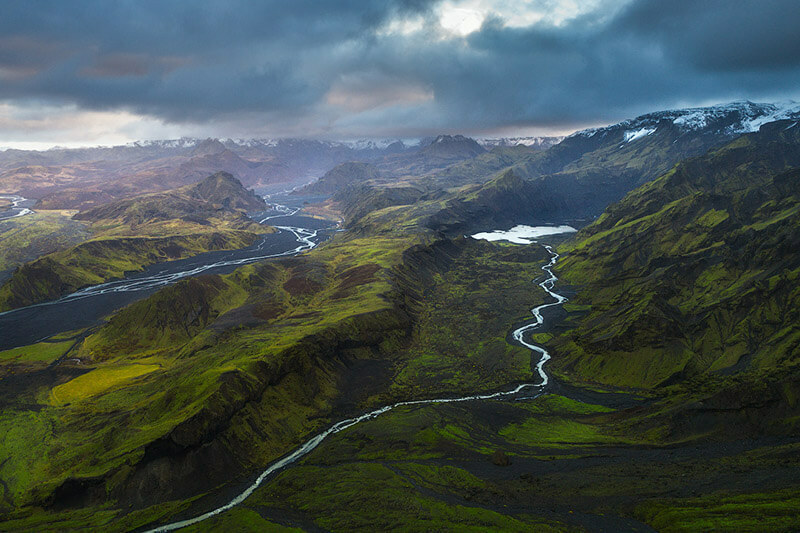 With such an abundance of photographic opportunities, this Iceland Photo Tour provides avid photographers, both aspiring amateurs and established professionals, with countless subjects upon which to improve their landscape photography skills. 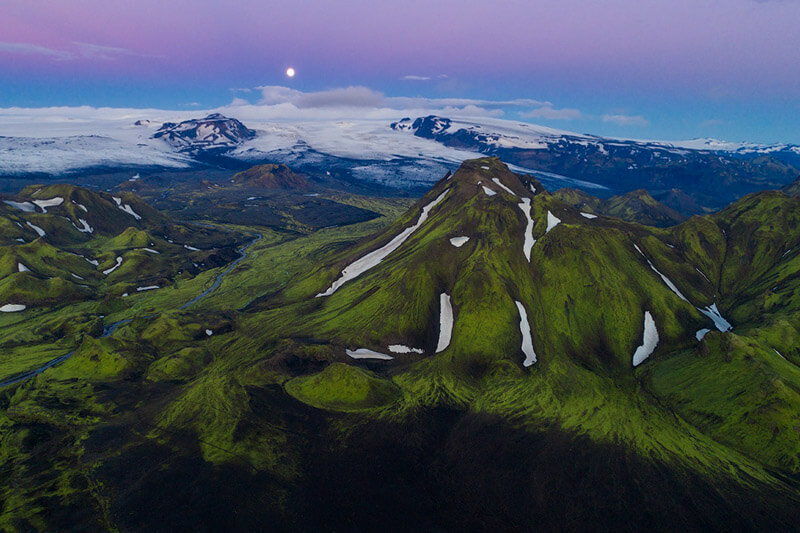 During this Iceland workshop every participant will be provided with their own expedition tent, sleeping pad and sleeping bag for use throughout the trip. Delicious meals for breakfast, lunch and dinner will be cooked and served for you in a big kitchen tent with a BBQ grill. While we will be shooting in-field, all measures will be taken to make the workshop comfortable for all. We will be camping (equipment provided by us) on registered campsite areas with access to showers and toilets whilst we are at these sites. Expedition strenght tent, sleeping bag and sleeping pad. One pers. per tent. 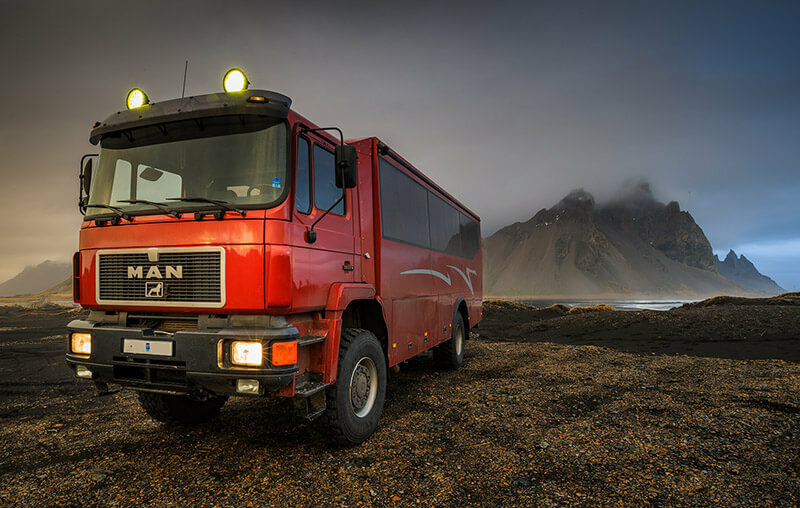 *This Iceland Camping Photo tour is in partnership with Iceland Photo Tours.